The public Library in Suwalki collects, develops, maintains and provides library resources with particular emphasis on the materials about Suwalki and the Suwalki region. It also carries out information, bibliography and publishing house especially about our town. One of the most important statutory tasks of the library is operating in the field of dissemination of knowledge about the region, the culture of the word, book art, and the cultural education of society. The library has good contacts with the local government and cultural institutions operating in the town. 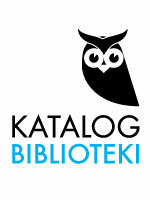 The library participates in the development and implementation of projects funded by, among others, the European Union. Suwalki public library has its main library in the town centre and 3 branch libraries. It also runs Midicentrum – Creative Science and Technology Center and is a publisher of a biweekly magazine – DwuTygodnikaSuwalskiego. We are a very friendly place for children and youths. We have a rich collection of fiction books – fairy tales, legends, novels and books for the youngest children (3-6 years). We offer various dictionaries, atlases, encyclopedias and magazines especially designed for children. In addition, we invite children to library lessons, multimedia activities, familiarization trips and meeting with interesting people. They can take part in many competitions and educational events. Our library supports children in acquiring knowledge and developing interests and passions. In our library we have a Smykalka studio – a place specially adapted for the youngest – where we conduct classes on creativity, art and robotics. In creativity studio we run classes on creativity development and teamwork skills. Classes are designed for children aged 2-12 years old. We have various tools for children to develop their curiosity for life – Lego bricks set in different themes, brick kits containing blocks of different sizes, colors, human figures, wheels, chassis, animals, parts of machines and equipment. In the art studio we stimulate imagination, creativity, and interest in graphic design. During the meetings, participants learn graphic design , animation and simple techniques of film. The program is aimed at children aged 6-12 years. We have tablets, tripods, multimedia projector, photo printers and others useful tools for work. Our participants can explore the musical world and musical instruments. Our software is adapted to activities in the area of music, creating, recording, processing and sound processing. In robotic studio we explore, by plastic bricks, the world of computer-controlled robots, cars, different devices and structures. Here, we develop problem-solving skills, help understand the mechanisms of constructing, and learn the basics of programming robots. We design and create robots with the use of motors, sensors, gears, wheels, axles and other technical components. We invite to studio all children between 6 to 12 years old. Midicentrum – A Creative Science and Technology Center in Suwalki is an educational institution using modern achievements of information technology to teach in schools, kindergartens, community centers and individual users. We run language, graphic design, science, robotics, technology, music, animation and art courses dedicated to all groups – from toddlers to seniors. All courses are free of charges. We are open from Monday to Friday for organized groups while others are welcome every afternoons and Saturdays.